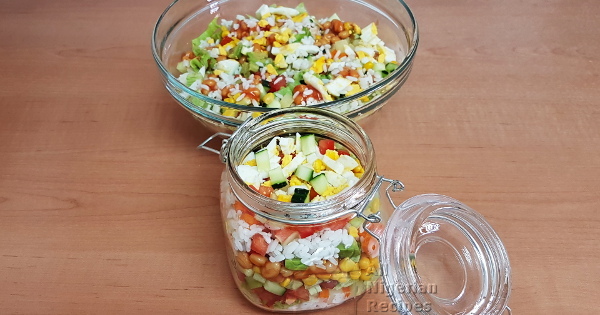 Nigerian Rice Salad is the Nigerian version of the Asian, Mediterranean, Mexican etc rice salad. It is just Nigerian salad ingredients with boiled white rice. 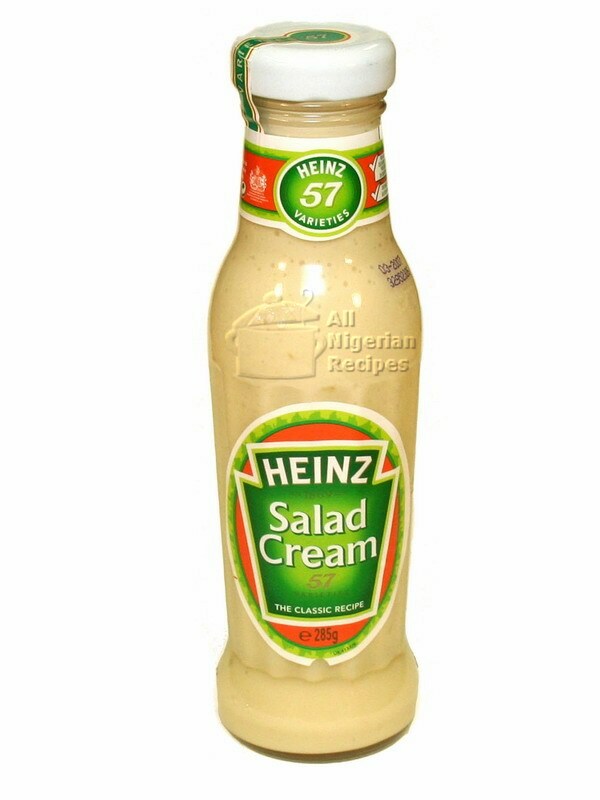 Salad Dressing: the classic Heinz Salad Cream works best with the Nigerian Salad recipe. A close substitute is the Heinz Caesar Salad Cream. You can use mayonnaise too. Use boiled white rice that has cooled down completely. Leftover boiled white rice is perfect for this. Feel free to add your favourite salad ingredients. You can easily make this vegetarian by removing ingredients you can't eat such as the eggs. All the vegetables need to be washed. Boil the eggs till hard done. Dice the carrots and potato. Add to boiling water. Leave to boil for 2 minutes, pour in a sieve and cool it down with water. Peel and dice the eggs with an egg slicer. To dice, slice across, then along as shown in the video below. Chop and dice the rest of the ingredients. The aim is to get all of them chopped into small pieces to match the grains of rice. See the image and video below. Peel and dice the avocado. Open the sweet corn and drain the preservation water. Rinse and set aside. Also open the baked beans tin and set aside. 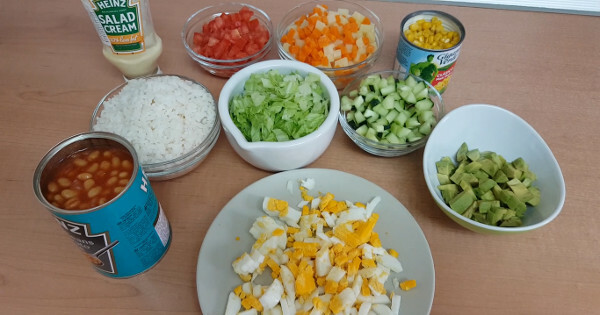 Then layer the ingredients one after the other in a bowl just like when making Nigerian salad. See the video below. Place in the fridge to chill before serving. 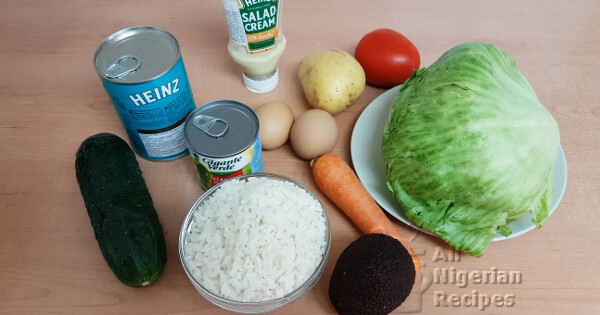 Nigerian Rice Salad can be eaten alone or as a side dish to all Nigerian rice dishes. More food combinations: with Chickpea Moi Moi, Nigerian Moi Moi or with Grilled Chicken.